Caramel is loved the world over, in all its many forms. In South America it is called manjar, cajeta or dulce de leche, which literally means "sweet of milk". Cooked to a spread-like consistency, it is then enjoyed on spread, spread between layers of cake or marbled through ice cream. In North America, it is usually cooked to the firm ball stage and sliced into squares or poured over apples. In the past, old-school wisdom dictated the creation of pure, unadulterated caramels with the freshest of ingredients and no additional salt. This salted version, though, is so seductive it will do the tango with your tastebuds. And remember, these are not the commercial caramels that pull fillings from teeth. The soft texture means they truly do melt in the mouth. My love of caramel stretches back to my childhood. One of my fondest memories is of my mother standing patiently at her stove, stirring the contents of a copper pot with her wooden spoon. I wait, feet bare on the linoleum floor as a sweet, buttery fragrance wafts provocatively across the room. Finally, after my mother shuffles around the kitchen for what seems like hours, she steps back with a sigh of contentment. Standing on my tiptoes, I peek over the counter and admire her latest creation: tiny, golden lumps of caramel lined up like a marching band at Halftime. Unfortunately, I am banished to my bedroom after abruptly stuffing a fistful of candies into my mouth, where they melt on my tongue like ice cream on a summer sidewalk. 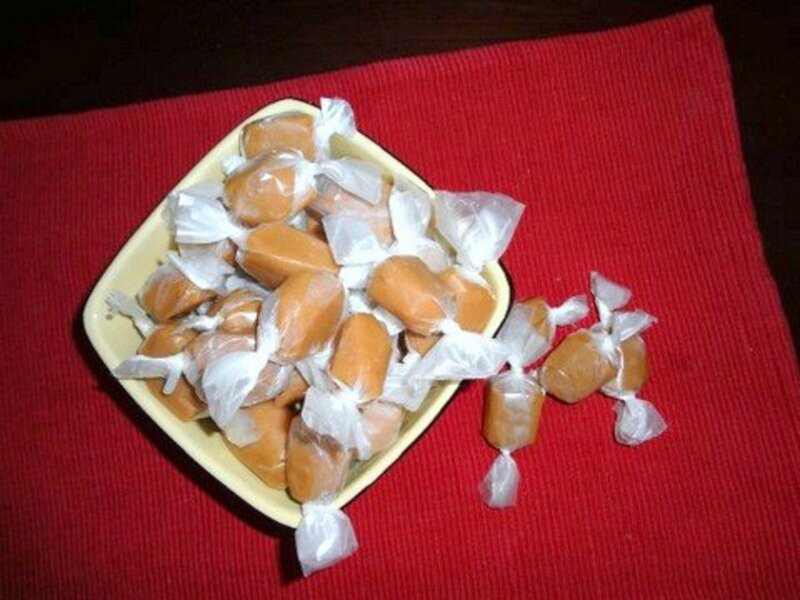 I never forgot those butter caramels, and I never stopped begging my mother for more. At a young age I learned to appreciate the artisanal quality of homemade candy. Since then, I've frequented old-fashioned candy shops with their marble counter tops and rows of fudge, English toffees, caramels and chocolates, just waiting to be wrapped up in brown paper and twine. Usually, though, I devour my finds long before I reach the comfort of my home. 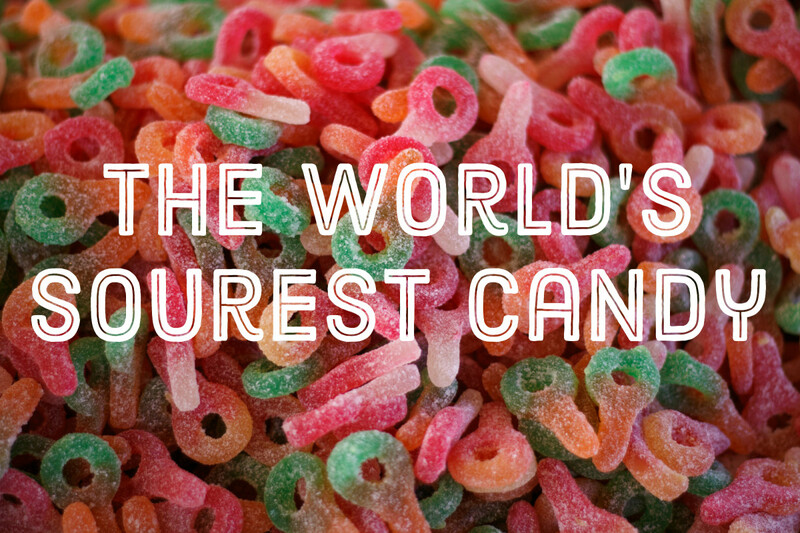 Although candy making may seem like the culinary equivalent of climbing Mount Everest, don't despair! With proper preparation and technique anyone can turn a pot of molten, lava-hot syrup into an impressive dessert or gift. Just set aside an afternoon or evening, pour a glass of wine and rely on the following step-by-step instructions as your guide. After successfully completing a couple of batches you, too, will become a candy-making expert and the talk of your family and friends. Before you begin, assemble the tools of your trade: a heat-proof spatula (we prefer Le Creuset's silicone spatula) or wooden spoon, an accurate candy thermometer, a bowl of ice water and oven mitts to safely handle the hot sugar syrup. 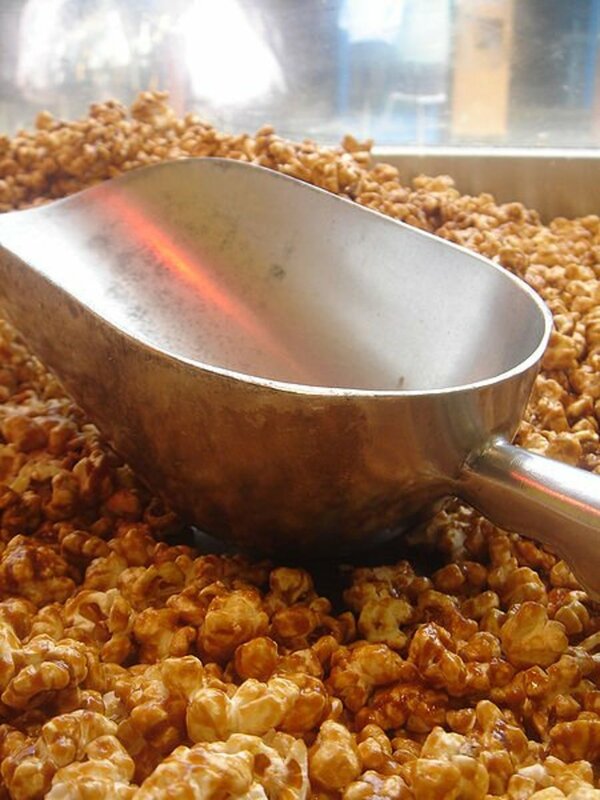 You can use 1 cup corn syrup, which will yield a firmer caramel, or a combination of 1/2 cup corn syrup plus 1/2 cup golden or rice syrup. You could also substitute 3/4 cup mild honey for the corn syrup, although it will result in a softer caramel. Try evaporated milk instead of half of the cream, but be aware that fresh ingredients such as real cream yield the most delicious caramels. If you decide to use salted butter, decrease kosher salt to 1/4 teaspoon. Heat the caramel to 248 degrees Fahrenheit, or firm ball stage. For high altitude, subtract one degree for each increase of 500 feet above sea level. For example, if you live at 2,000 feet above sea level, heat candy to only 244 degrees Fahrenheit. If using a candy thermometer, test it in a cup of boiling water. It should read 212 degrees Fahrenheit. If not, adjust recipe accordingly. In my experience, thermometers are often inaccurate. Always use thermometers in conjunction with the ice water test described in tip 7. Keep a bowl of ice water handy. When you think the candy has reached the firm ball stage, scoop up half a teaspoonful of caramel and plunge it into the ice water. It should firm up enough to hold its shape once removed from the water. Be patient and don't rush the process. It's better to cook at a lower temperature even though the candy will take longer to reach the firm ball stage. You can't rescue burned candy. 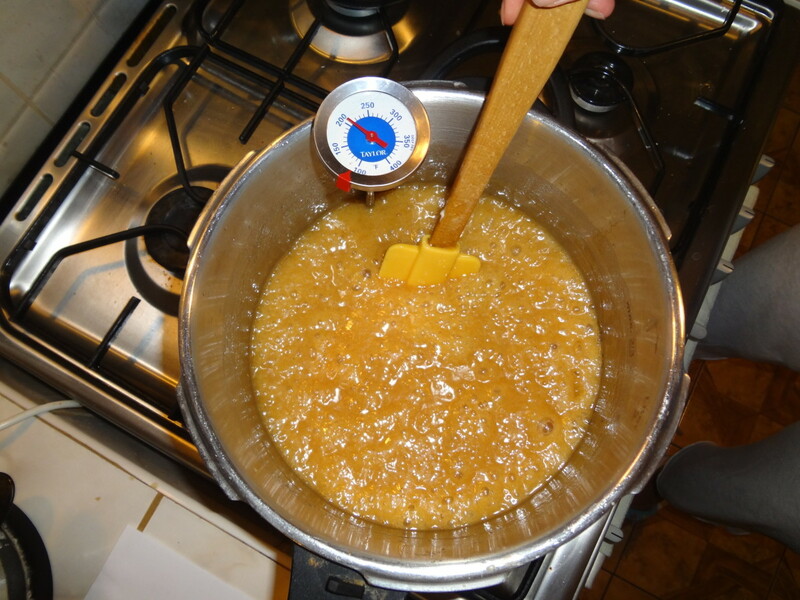 If you don't boil the caramel long enough and it doesn't firm up, you can always boil it again until it reaches firm ball, or use it as a sauce for ice cream. Don't stir too much, only when necessary. Too much stirring will encourage sugar crystals to bind together. 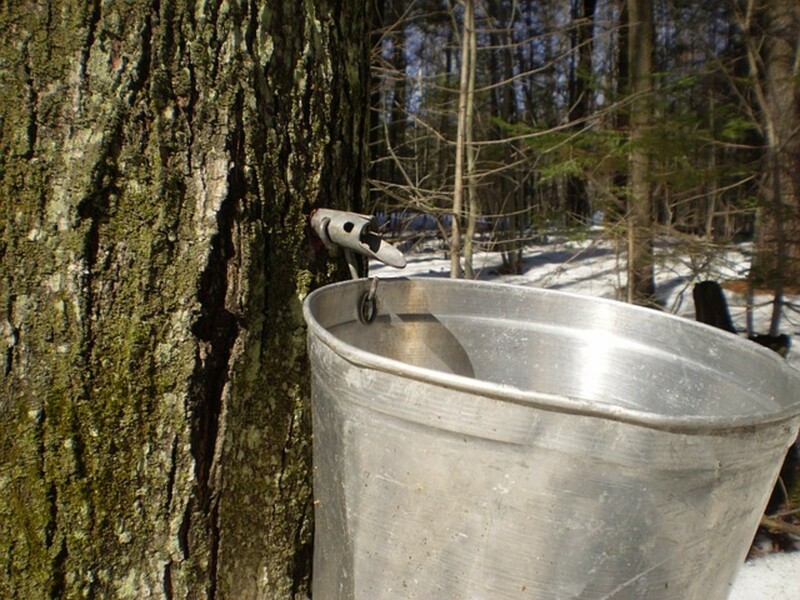 Be very careful when handling syrup. It will be very hot! Wear long sleeves and use oven mitts to protect arms and hands while pouring candy into prepared pan. Recruit a candy-making partner or turn on your favorite tunes, relax and enjoy the process! Please don't use table salt in caramel making. The finishing salts listed in the "ingredients" section of this recipe each have their own special characteristics--including health benefits--and none of the bitter, metallic aftertaste of table salt. Line a 12x15 inch pan with parchment paper and lightly brush with oil. Do not substitute aluminum foil or wax paper for the parchment or the candy will stick. 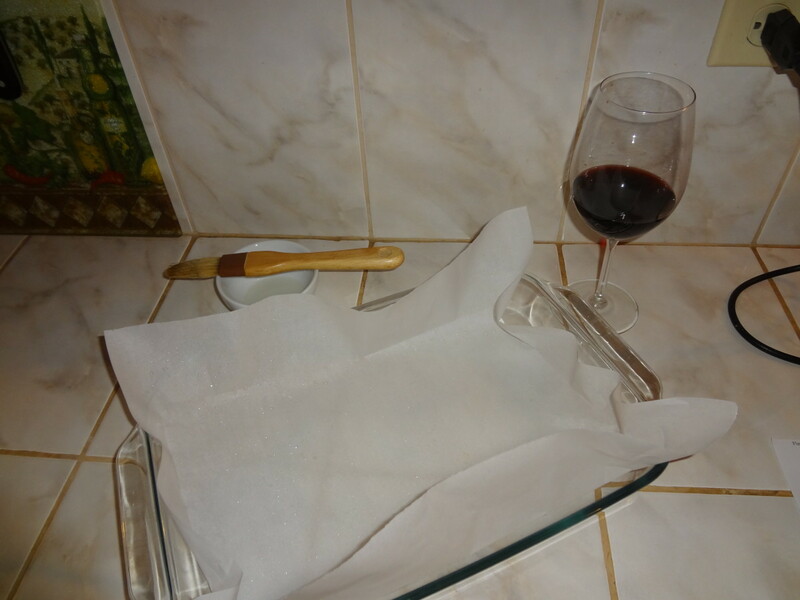 Alternatively, you could line the pan with a Silpat or silicone baking mat instead of the parchment. 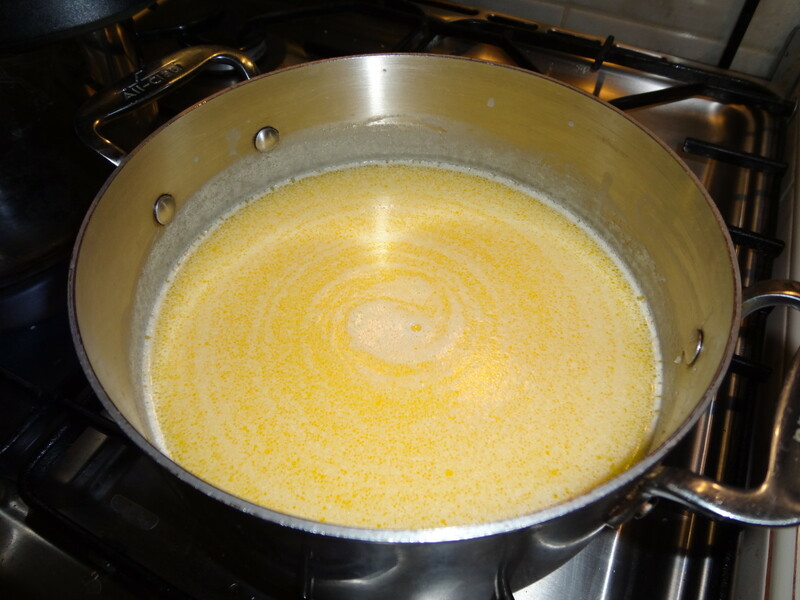 In a small pot bring the cream, butter and kosher salt (and vanilla bean, if using) to a simmer over medium heat. Turn off heat and set aside. Remove vanilla bean just before proceeding to step 4. In a very deep pot, combine sugar and syrup(s) and bring to boil over medium heat, swirling pot and boiling until mixture turns golden brown. Don't stir, except to scrape down the sides of the pot one time. Just swirl. 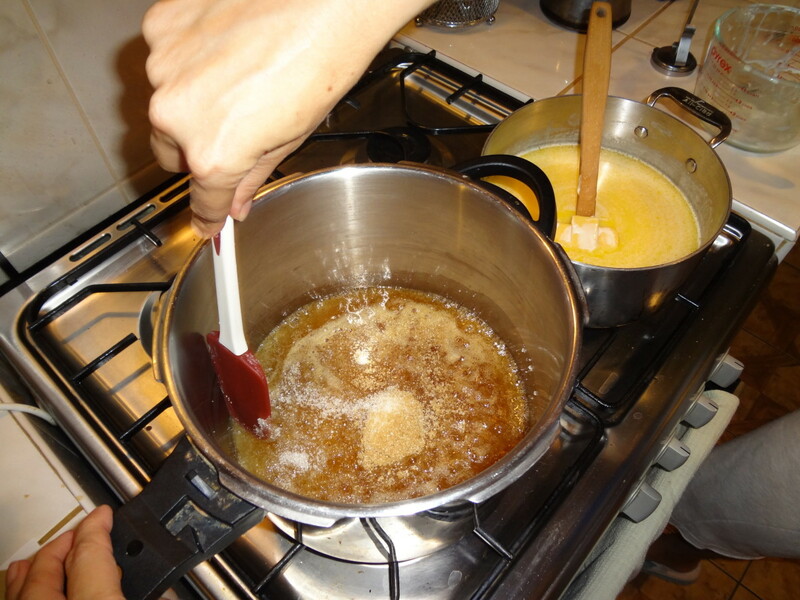 When the sugar mixture turns golden brown, turn off heat and slowly add warm cream/butter mixture. It will bubble violently for a few seconds. Stir in the vanilla extract (if not using vanilla bean) with a silicone spatula or wooden spoon. 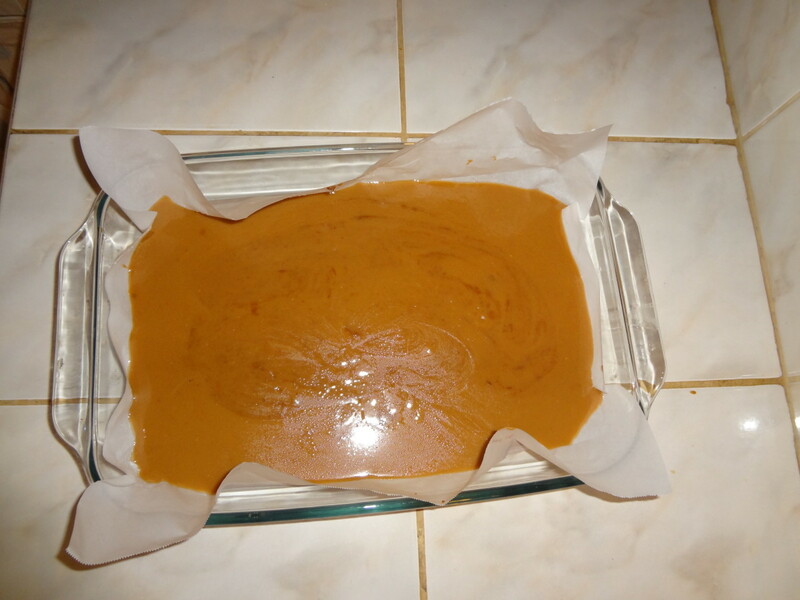 Refrigerate caramel for 30 minutes to an hour, until firm but still warm. Do not allow it to cool completely or it will be difficult to slice. Turn caramel onto a cutting board and peel off parchment paper or Silpat. Heat knife over flame of a gas stove or coat with oil to make slicing easier. Cut in half the long way, then cut in half again so you have four long rectangles of caramel. 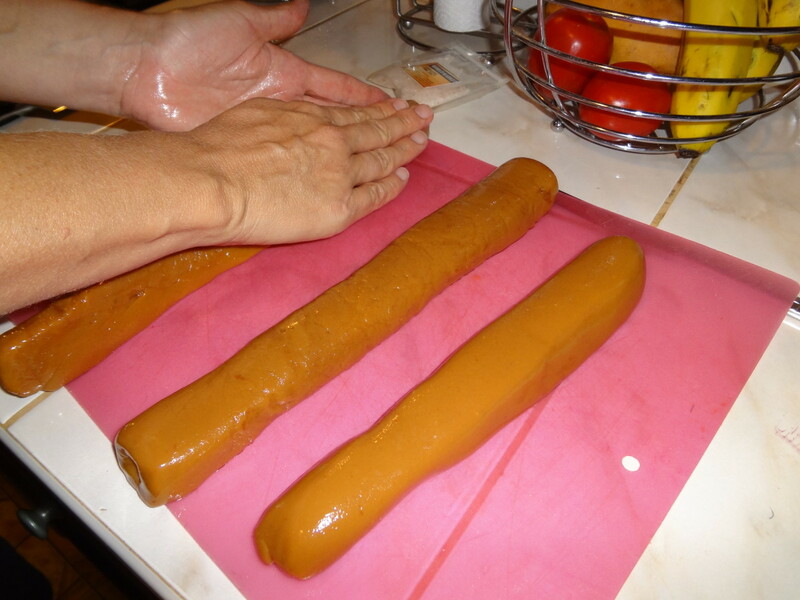 You can either cut the caramel into squares or, if you prefer, starting with the long side, roll caramel into logs. 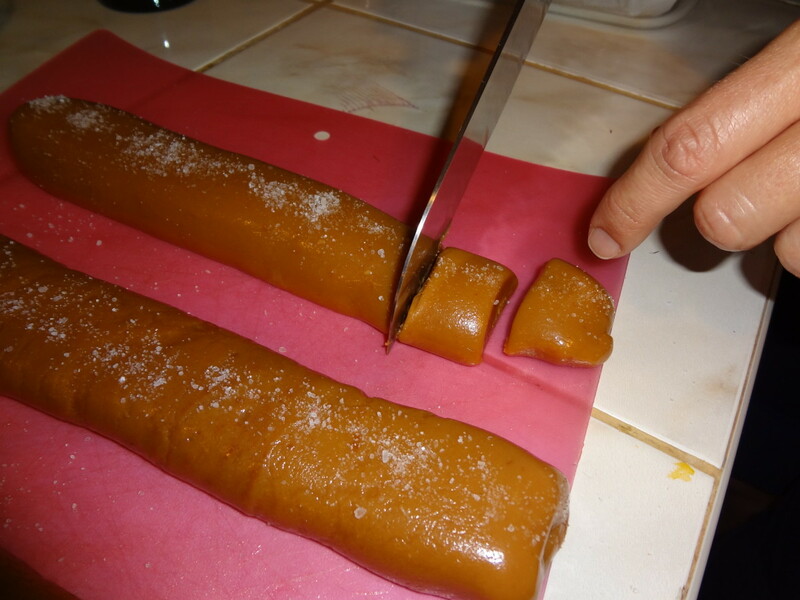 Slice into chunks, then slice chunks in half again for smaller caramels. Sprinkle with salt, being careful not to salt the candies too much. Cut parchment or wax paper into 4x5 inch pieces and wrap each caramel individually, rolling them up in the paper and then twisting the ends. Store in refrigerator in an airtight container and serve caramels chilled with a cup of coffee. Can be stored for up to one month. Which is your favorite way to eat caramels? Variations: Add chopped nuts to prepared pan for nut caramels. Dip caramel squares in chocolate. Or create your own caramel concoctions such as cardamom pistachio, espresso, coconut or orange. The sky's the limit! If making caramel apples, allow caramel to cool a bit and, while still pourable, dip the apples. Please feel free to leave your review or questions in the comment box below. Deee--lious. And I am serious. If I am go, I might as well go happy. You might check some of my abstract/prose works. Himalayan salt is something of a luxury item, but so is caramel! How interesting pstraubie48! There´s nothing like caramel made with fresh ingredients. Enjoy! This sounds very much like the recipe my Momma used when we were kids. It was so good. I have not had any in probably 50 years. I will line up some help and give this a try. Thanks for your comment Patkay. I am sure this hub will help many wannabes to prepare their own caramels. Thanks for the share. Maggie.L, yes please let me know how the carameks turn out for you. They make thoughtful and delicious gifts. My teenage daughter is really into baking and cooking and we were looking for a recipe that she can use to make Christmas gifts. We have tried year after year to make tablet and it always goes wrong. These salted caramels would make an ideal gift for her aunties and friends so we are going to try this recipe this year. I'll let you know how we get on. It's one of my favorite candies, Arachnea! This looks simply marvelous! I'll have to make it sometime in the near future. Trusouldj, caramels are also one of my favorites. love caramel. 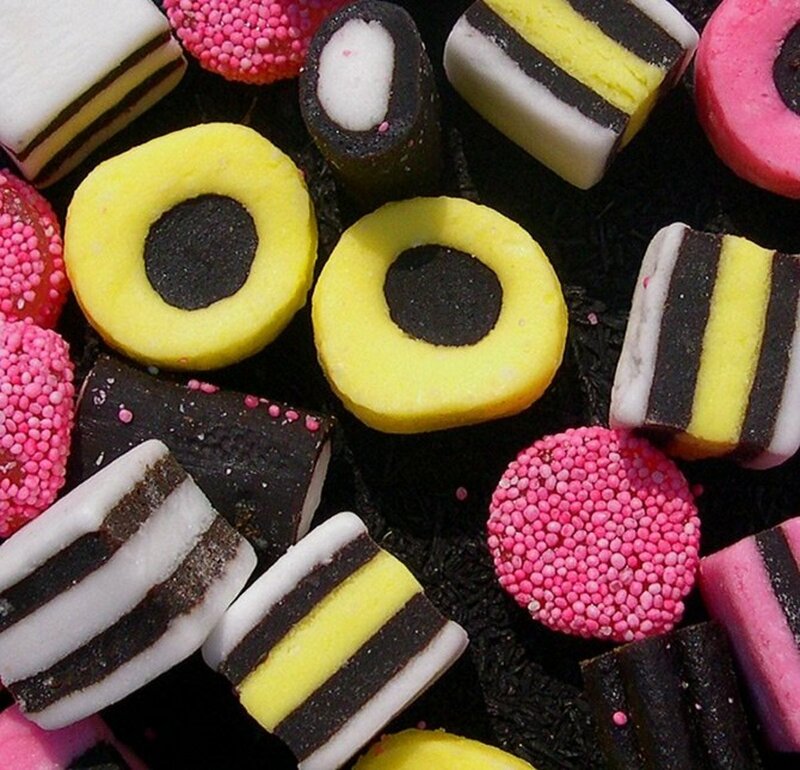 these candies look tasty. 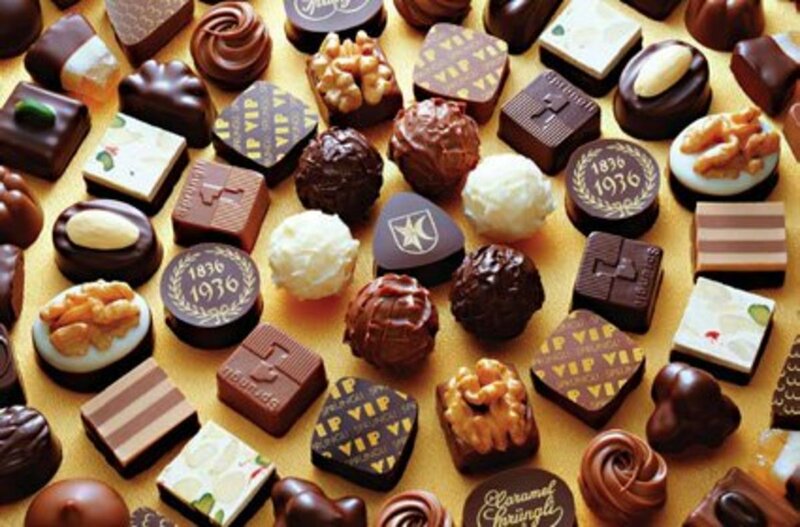 lindacee, I am also a sugar junkie and very picky about the quality of my candy. I wouldn´t waste my time on the prepacked type, either. This is like a different confection all together...hope you can try it sometime. This is the perfect time of year for baking. Enjoy! GetitScene, I think you made a great choice! Although homemade caramels take a little practice, they're better than any caramel you can buy. Enjoy! My wife just bought some Himalayan Pink Salt and we were looking for a special recipe to try it in. She loves sweets so I guess this is going to be our first attempt using this ingredient. Loveofnight, you won't regret taking the time to make these homemade caramels. They're delicious! You have done an awesome job with this one, I love it and will be trying it soon.Thanks so much for the share. Careermommy, butter caramels are also one of my favorites. These homemade butter caramels are way more delicious than anything I've ever purchased...there's just no comparison. I hope you can try them sometime! vespawoolf, I love butter caramels. These look so delicious. I didn't realize you had such an extensive cache of recipes. I'll have to visit your page again to read through them. 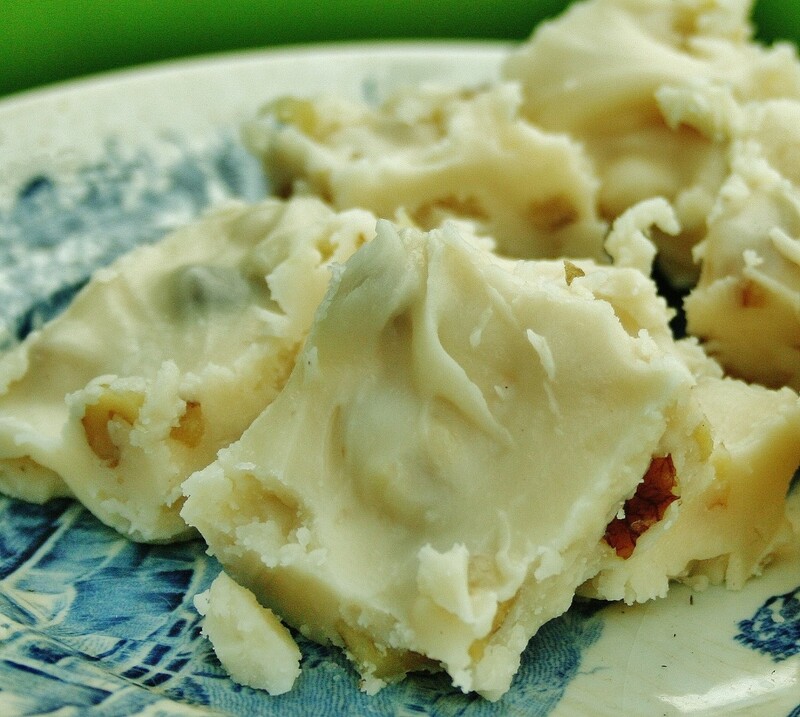 quester.ltd, homemade butter caramels make a wonderful and special treat for a loved one. Try it sometime! I hope you can try these! They do require a little work and patience, but they are more than worth it. Be sure to just use a light sprinkling of salt, especially for the kids. They'll love the chewy and sweet candies. FlourishAnyway, you won't believe how much more delicious the homemade caramels are. They won't pull your fillings out and just melt in your mouth. They're my hands-down favorite homemade candy. I hope you can find the time to do it. Thanks for coming by! I have been going out of my way to buy these and now I can make them? Seriously, someone pinch me! I am printing this right now and putting it on my "TO DO" list. Amazing. Yes, they're a unique and delicious gift. Thank you, Crystal Tatum! These look delicious! What a great gift for the holidays. Voted up. Peggy W, thanks for the 5-star rating! Please feel free to ask any questions about the recipe. It makes a nice-sized batch of caramels perfect for gift giving. They were quite a big hit last year! I'm going to make another batch in a couple of weeks here. I appreciate your comment, too. Just gave your butter caramel recipe another 5 stars. I have never tried making candy but it would surely make for great gift giving. Wish I could taste one of your salted caramels right now! Congratulations also on the HOTD. You have given us clear directions and great photos to follow. Many up votes and will share. VeronicaTalk, I'm glad you found this interesting and easy to understand. I hope you can try it sometime! The caramels are so worth the effort. Thank you for coming by. This is really easy to understand. I love all of the photos. Nice work. Eusaphzae, glad you enjoyed it! Thank you for the visit. Wonderful! what a nice way to present a recipe, step by step, with pictures, Amazing. Thank you very much. KoffeeKlatchGals, these are my all-time favorites! There's nothing like melt-in-your-mouth homemade caramels. They take some work, but are definitely worth it. Enjoy and thank you for commenting. I can't wait to try the caramels. They look so delicious. You have the best recipes around. Locknloaded81, I'm glad you enjoyed reading about delicious homemade caramels. Thank you for taking the time to read and comment. yum-yum-yummy! thanks you for sharing this steps.. Your hub encouraged me to made like this, very nice! Tjdavis, your caramel pear cake sounds wonderful! Yes, it does require constant stirring. I suppose that's why confection stores have machinery that does the stirring for them! Thank you for the vote and share. I really appreciate it. Algarveview, I'm glad you were able to get into the spirit of this article! Yes, there's nothing like that cozy, safe feeling of being a child at home. The caramels are a wonderful memory that I'll never forget: the fragrance, the flavor, the feelings. Thank you for your meaningful comment and I hope you have a chance to make the caramels someday. There's nothing else quite like them! Molometer, I'm glad you enjoyed this hub. Moving to Peru forced me to learn the art of home cooking. Once you get used to homemade, there's no going back! Thank you for coming by. Tammyswallow, it's nice to meet a fellow caramel and sea salt lover. I hope you enjoy the recipe. There's nothing like homemade butter caramels. Thank you for the comment, vote, pin and share! This is an amazing hub..great pictures..very detailed and well written. I used to make a caramel topping for a wonderful pear cake I baked and I remember it took a lot a stirring to not burn it lol. I love caramel. These look delicious. I would love to give them a try. Since joining hubpages and finding these great instructional hubs. I am rapidly converting to making just about everything homemade. Fabulous recipe! I love pink himalayan salt. I have replaced standard salt with it. My family loves caramel so I will have to try this. Excellent! Pinning and sharing! 5 stars! LetitiaFT, I've never tried Camargue flake but I'm sure it's wonderful! I just love trying different gourmet salts and just brought bck Peruvian Pink salt from Cusco. It's mined in Maras and has a minerally finish. The temperature is the key with candy making. If you have a good thermometer and also use the water bath method, you should have no problem. Thanks for taking the time to read and comment! Moonlake, it's nice to hear that you've tried homemade caramels. There's nothing like them, and I've made them from time-to-time throughout my life. They're the ultimate treat! Enjoy the recipe! Thanks for the vote and the pin. This sounds so good. I remember my mother-in-law making these wrapping each in all the little papers. I never got her recipe, I should have but now I have yours. Voted up and pinned. Ishwaryaa22, thanks so much for your vote and the kind words. I hope you have a chance to try the caramels someday. They're so worth the effort! As a matter of fact, it's about time to make another batch! Wow! A detailed and well-presented hub on caramels! I like munching commercial caramels but nothing beat homemade sweets as this yummy recipe of yours! The tips and instructions are helpful. The photos are drool-worthy! Rated this tasty recipe 5 stars! Belated Congrats on the much deserved hub of the day! Well-done! Techygran, thank you for your kind words. I love making caramels, and these are unbelievably delicious. I think it's about time to make another batch! This hub is delicious! I love your excellent use of the step-by-step photos and the attractive photo at the beginning with the red background. The detailed, clearly-written instructions provide confidence that it can be done (that one will not end up with a sloppy, stringy mess unfit for the compost heap). Thank you! Voted Awesome and Pinned! Yes, caramels are the enemy of dental work! Thank you for dropping by, Om Paramapoonya, and I hope you have a chance to enjoy the caramels someday. Eileen Goodall, I hope you have a chance to try them. They're so worth the time. There's nothing like homemade caramels! Oh my, oh my, oh my - yes please - must get time to try this - thank you voted up. You're welcome! I hope you enjoy the delicious caramels and thank you for dropping by, quester.ltd. I have been looking for this recipe - thank you, thank you! melissaschulz, a gift basket of homemade items is the best gift of all. Thank you for dropping by and commenting, I really appreciate it. Thank for the information hub. I totally enjoy the smell in the kitchen when you are making homemade item. My mother is a chef and over the years I have learn many secrets from her. We always make gift basket for christmas present. It is a lot of work but everyone totally appreciates them, so it worth it. Who can resist caramel, right? urmilashukla23, thanks for your comment and for dropping by! Oh Caramel, my favorite too. Great recipe. Shared with family and friends and bookmarked it. Congratulations on the hub of the day award! Great work! Thank you so much for your vote and comment, raakachi! Thank you for dropping by, jiro! Thank you for your vote and comment, Crystar! Commercial caramels are much chewier than homemade, and thus more likely to pull out fillings. I hope you can try them and, yes, the salt is really pink! Thanks for dropping by, pstraubie48. Congrats! for the hub of the day 'accolade' as your hub deserves full right over it. Thanks for sharing with us. voted-beautiful. Yummy! I love butter caramel. Will definitely try this one. Thank you for sharing, vespa. Voted up & Awesome. Yum....I love caramel even though I have had a filling pulled out by them. These sound so creamy that I almost feel them in my mouth. Thank you for sharing this recipe. I may some day be brave enough to try this and definitely will look for Kimalayan pink salt...is it really pink?? Thank you for your kind words. 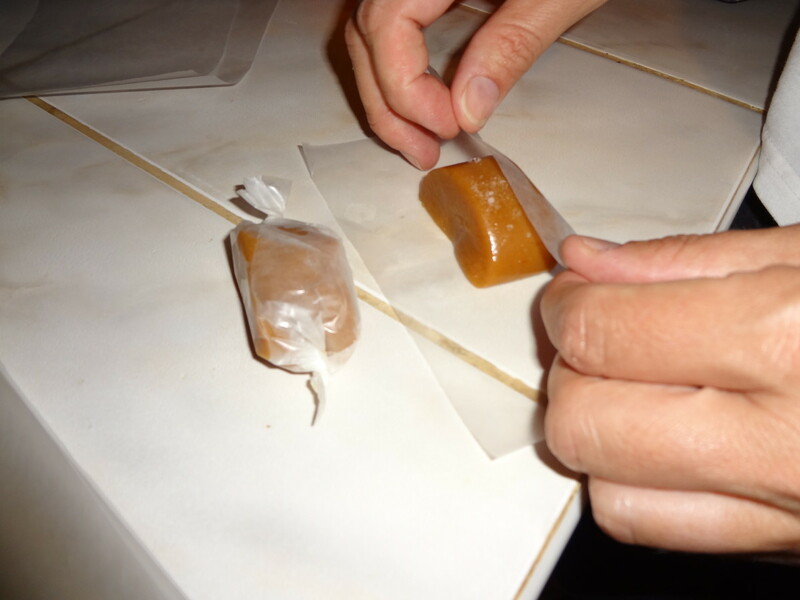 I hope you'll have the chance to try your hand at homemade caramels. They're worth the effort! I hope you give it a try! A friend to help with the stirring really helps. I love Penzey's for spices and salts...thanks for the tip! Oh wow, if you love Kraft butter caramels you have to try the homemade variety. They're not even in the same ballpark! Thanks for coming by! My weakness is salt caramel. I've never made caramel, but maybe I'll try with an adventurous friend! Penzey's is a great store for these ingredients, BTW. Oh my God, there is nothing like caramels with salt. A little chocolate also does no harm. Congratulations on Hub of the Day. It's nice to meet another caramel lover. 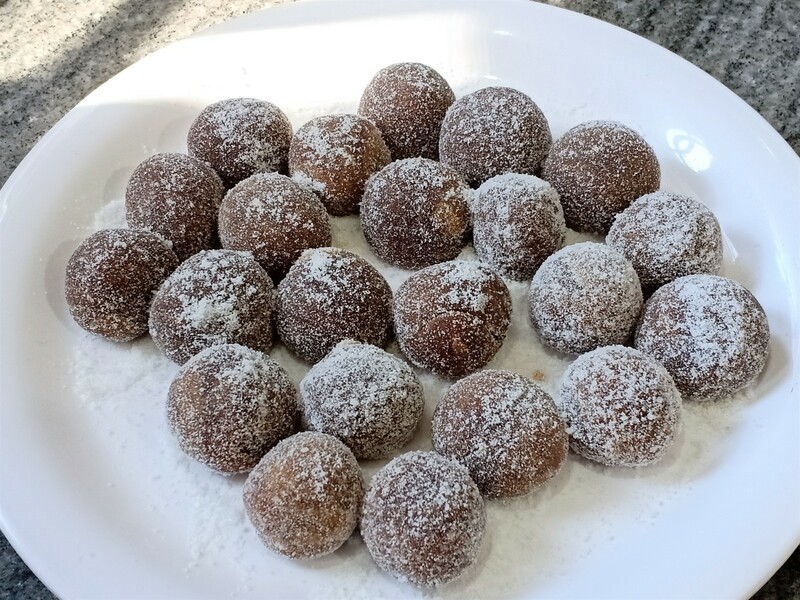 I hope you can try the recipe, as homemade caramels are on a whole new level...like the difference between a frozen entrée and a homemade one. Thanks for your comment! Wow, thanks so much for your praise! I myself am an impatient cook. It helps to have a candy-making partner to cheer you on and take turns stirring. The bottle of wine doesn't hurt any, either! Okay, since you keep asking I may write down a few travel experiences! I don't know how commercial they would be, but it'd be worth a few laughs. I love caramels. I'll bet the homemade ones are really good. I have never had homemade caramels, thanks for such clear directions! Congratulations on Hub of the Day! Very well deserved! I love your similie in the first paragraph, "...like ice cream on a summer sidewalk." What a wonderful word picture! You directions are wonderful and clear, as are your photos. Voted up, beautiful, awesome, useful, interesting and shared! Hub of the Day! Congrats! The context and the detail you put into your recipe Hubs is very, very nice. My culinary interests run in completely different directions, but I truly enjoyed reading this - even though I don't expect to try my hand at candy making. You are inspiring me to go back and tweak the few recipes I've got out there. When are you going to take a shot at some different subjects? I am eagerly awaiting something on your travel experiences. Salted caramel macaroons? That sounds simply divine. I'll have to look up chef Adriano Zumbo. Thanks for the tip! Salted caramels are my favourite sweet. In Australia we have an amazing pastry chef who makes the most incredible Salted Caramel Macarons. Adriano Zumbo! Thanks for a great hub I'll be trying to make these! Arlene V. Poma, if you keep the heat low and stir constantly, you can't burn the caramel. I hope you can give it a try. Thanks for your support! Sweet Georgia Browns, huh? That would make an interesting hub. Thanks for a lovely Hub. For some reason I find watching candy making irresistible. I guess it comes from watching my dad make Sweet Georgia Browns when I was a kid. Congrats on being a Hub of the Day! 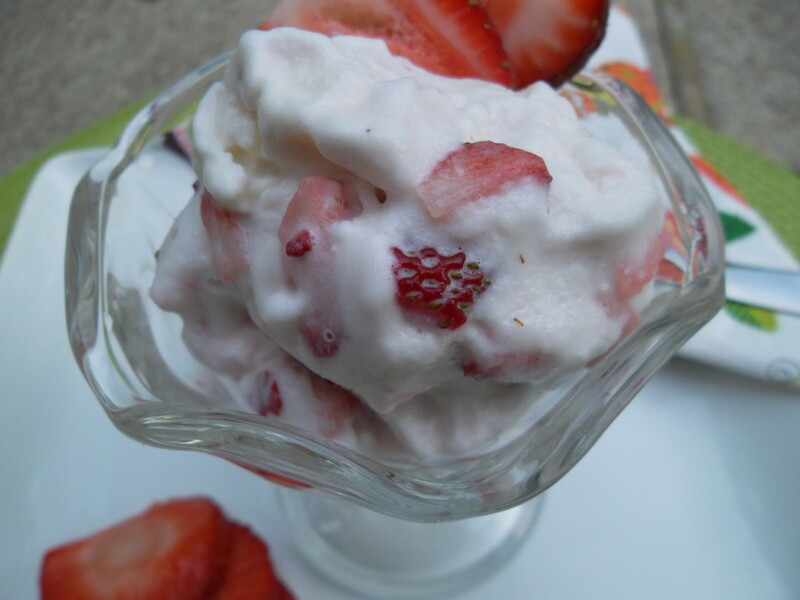 I hope you have a chance to try the recipe and thanks for your comment! Thank you! I noticed you have some hub awards under your belt, as well. I look forward to reading more. These sound awesome! I'll be back to give this recipie a try. I love experimenting in the kitchen! Congrats on getting Hub of the Day! This is a very well written hub. I enjoyed the personal history behind the recipe. Thanks so much for the kudos, Patty Inglish, and for all the support from HP staff! Thank you so much for your kind words and vote! Please let me know about your caramel making experience if you have a chance. Thanks, John, for the kudos. I wish I could share the caramels with all my commenters but technology hasn't reached that point yet! Thank you for your comment, ktrapp, and your kind words! Caramel apples are also one of my favorites. Thank you, Cardisa. Yes, they do require some patience but the result is sooo worth it. Thanks for your comment!